Building a photography website is a great way to advertise your services to the world. Some people build photography websites to attract new clients to their photography business. Others build photography websites to share some of the best photos they’ve taken. Do you want to build a photography website? Well, I have good news! Finding a good website builder for photographers has never been easier. There are dozens of great web development tools available today – and you don’t need any web design experience or programming knowledge to make a fantastic-looking site. With that in mind, let’s take a look at some of the best website builders for photographers. Carbonmade is one of several different specialized photography site builders we’ll be covering in this article. Carbonmade is a website builder specifically designed for photographers. That means you enjoy many photography-specific features, including templates that are centered around images as well as galleries, slideshows, and more. If you want to show off your photography or artwork, then Carbonmade gives you plenty of ways to do exactly that. The main problem with Carbonmade is the same problem associated with other specialized site builders: they have limited feature sets for anyone who’s not entirely focused on photography. So if you decide to expand your business one day, or create a page centered around something else, then it may be difficult to do that with Carbonmade. All plans come with some standard features, including customizable navigation (you can change the menu around) as well as video and audio uploads and project archiving. The two higher-priced plans also let you setup your own domain – so if you want to purchase a domain in your name and use that for your site, then you can easily do so. The lower-priced plan also comes with Carbonmade branding on your site. Some people may find that unprofessional – so make sure you know what you’re getting into when you sign up for Carbonmade. Ultimately, photographers typically find that Carbonmade is very easy to use. It’s a little pricey – especially considering that the cheapest plan, at $6 per month, still comes with Carbonmade branding. But overall, it’s a great website builder for photographers. Pixpa claims to help anyone make portfolio websites for creative professionals. It’s similar to Carbonmade, although it tends to feature a more artistic design – including minimalistic themes that draw all the attention to your photographs without distracting users with big menus, big text paragraphs, and other annoyances. Pixpa uses HTML5, which is a modern web development platform that works particularly well for displaying a seamless theme for your website across all devices. In this day and age, your customers are using tablets, smartphones, desktops, and laptops to interact with your site. Device-specific compatibility is a must. If a customer visits your site on a smartphone, and your site isn’t optimized for that resolution, do you think they’re ever going to come back? That’s where Pixpa works well. To get an idea for some of the themes available for Pixpa, check out their themes page here. As I mentioned above, themes tend to be minimalistic and photo-centered, which is exactly what many photographers want. Pixpa only has about 20 themes, and most of the themes are pretty similar. So before you purchase, make sure you browse through the themes list and find something that works for you. All plans also include some features standard, including the ability to connect your own custom domain. Pixpa is also search-engine friendly, which is often difficult for a photography-based website. Plus, if you’re not a pro web developer (if you’re reading this article, I assume you’re not), then you’ll appreciate the simplified drag and drop interface when building a website. It’s difficult to mess up. Once again, Pixpa isn’t the right solution for those who need to customize their website extensively, or add new pages that aren’t related to photography. It’s a simple but effective photography-website building tool. Wix is one of the world’s most popular website builders. Unlike the first two on our list, it does not cater specifically to photographers. It’s a website builder for a wide range of companies and individuals. If you found the first two on our list too constraining and too photography-focused, then Wix might be what you’re looking for. Wix comes with dozens of themes that can suit all different types of businesses. Whether you’re running an auto shop or a photography studio, you can probably find a website catered to your business on Wix. The only real problem with Wix is that it’s such a popular web design site that you might find your photography site looks too similar to your competitors. But if you’re okay with having a formulaic website and are looking for a website builder that’s easy to use, then Wix is certainly a great option. Creating a website with Wix is free. You also get unlimited pages, website hosting, and access to hundreds of standard templates for free. However, if you want faster hosting, a wider variety of plans, and enhanced customer service, you’re going to have to pay. You can view Wix subscription information here. There are five different plans from which to choose. You can pay annually and save money or go month to month. The cheapest plan, the Connect Domain plan, is priced at $4.08 USD per month and will display Wix advertisements on your site. It gives you 500MB of storage and 1GB of bandwidth. The most popular plan tends to be the Unlimited plan, which is priced at $12.42 USD per month and gives you one domain free for a year (you pay to renew the domain after that). There’s no limit to your bandwidth and you have 10GB of storage space with which to work. Meanwhile, more expansive online businesses may be interested in the VIP or eCommerce plans, which give you access to features like an online store and various eCommerce apps. Ultimately, Wix is a popular website builder for photographers (although it’s not exclusively for photographers). It can also expand as your business grows – including starting at a free plan and ranging all the way up to the eCommerce plans. Weebly is another popular website builder that isn’t exclusively for photographers. Whether you’re a freelancer or a business owner, Weebly has ramped up its offerings with a whole new set of tools, more responsive templates, and a wide range of new features. Plans start at around $8 per month. One of the unique traits about Weebly is that the website builder uses a “box model”, which means all of your content will fall into specific containers or boxes when you drag it onto a page. It’s a slight twist on the usual drag and drop experience, although it’s a nice way to keep your site organized. You can also choose from different layouts, and then customize your layouts by adding or removing certain elements. Other Weebly-specific features that may appeal to photographers include blogging support, membership support, and custom forms. Fully integrated eCommerce and all available features. “The complete package”. Ultimately, the internet is filled with creative professionals – like graphic artists, musicians, and architects who may want to show off their work. That’s why you’ll find plenty of website builders catering specifically to this demographic. 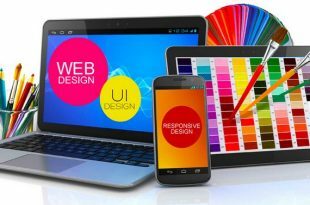 Some website builders for photographers actually assume you have some basic web design knowledge, which means they give you greater control over the customization of your website. Two website builders that give you more control while still catering to photographers include Webydo and Weblow. Meanwhile, if you want an easier web design experience (like Wix or Weebly), then uCoz is a good alternative to those two. It doesn’t give you complete control, but it lets you easily build a stylish, responsive, and attractive website for photographers.